A Youth Training Workshop on Flood and Drought Risk Prediction and Management was held at the Global Water Partnership Central Africa headquarters in Yaoundé, Cameroon from 3-4 November 2017. 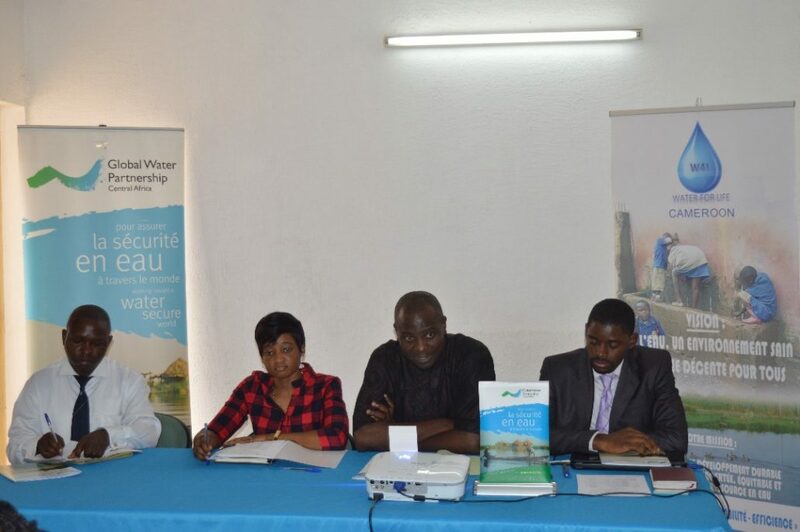 The workshop was organized by Water for Life Cameroon with support from the Global Water Partnership, UNESCO, World Meteorological Organization and Water Youth Network. This workshop is the first of two workshops organized under the Enhancing Youth Participation to Flood and Drought Disaster Risk Reduction in Developing Countries (Eyd2r) project. This project is dedicated to engaging the youth in action, awareness raising, communication and research for reducing risk and improving resilience to water-related natural disasters—particularly, floods and drought—in the context of our changing climate. Twenty-four young students and volunteers from Cameroon had the opportunity to learn from and interact with 10 experts during the workshop. The first two days introduced a breadth of topics related to flood and drought disaster risk reduction: key concepts, risk analysis approaches, appropriate local actions, regulatory tools and institutions, policies, innovative approaches, and opportunities for youth involvement. The next two days were used for an interactive session wherein the participants formed smaller groups to discuss the difficulties associated with flood and drought in each study area’s sub-basins, and to identify research, development and action opportunities that come with flood and drought risks. At the end of the workshop, the young participants identified the main constraints related to floods and drought in five watersheds (Mfoundi, Wouri, Menoua, Logone and Chari, Mayo Tsanaga) and developed 21 ideas for adaptation projects and research for flood and drought prevention.